A busy week of training, including a big 5k time trial at the end of the week. Things felt pretty good last week and I'm happy with where I am and continuing to see progress. It is nice to feel like I'm getting stronger! 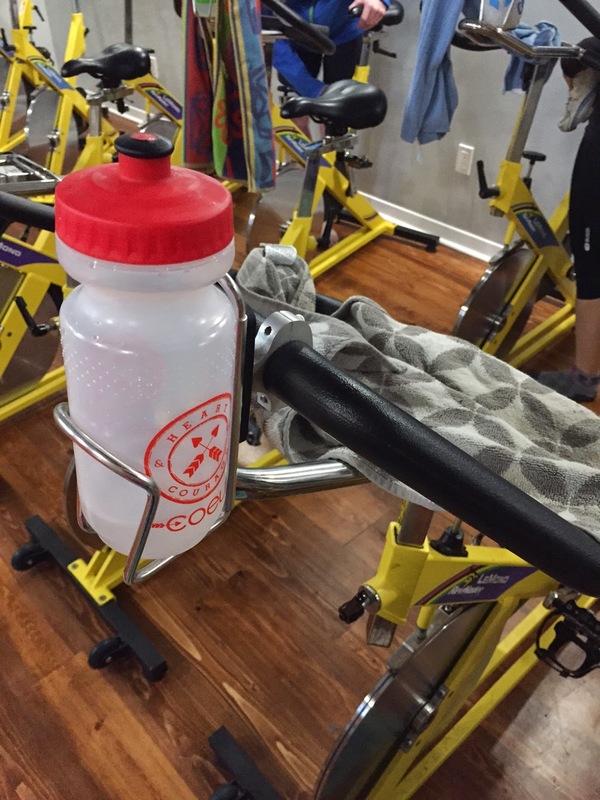 Monday: Morning spin on the trainer (75 minutes) with low RPM efforts at Zone 5. I did 7 rounds instead of 6 since I felt like the trainer wasn't set up to allow me to go hard enough on the first few rounds. Tuesday: Morning swim practice! It was the first swim in AGES where I actually felt like a swimmer. I felt strong all the way through a tough main set of 3x(2x150 all out on 2:30) with 1 minute rest between sets. I held between 1:50 and 1:54 on all six of them! Such a great feeling. 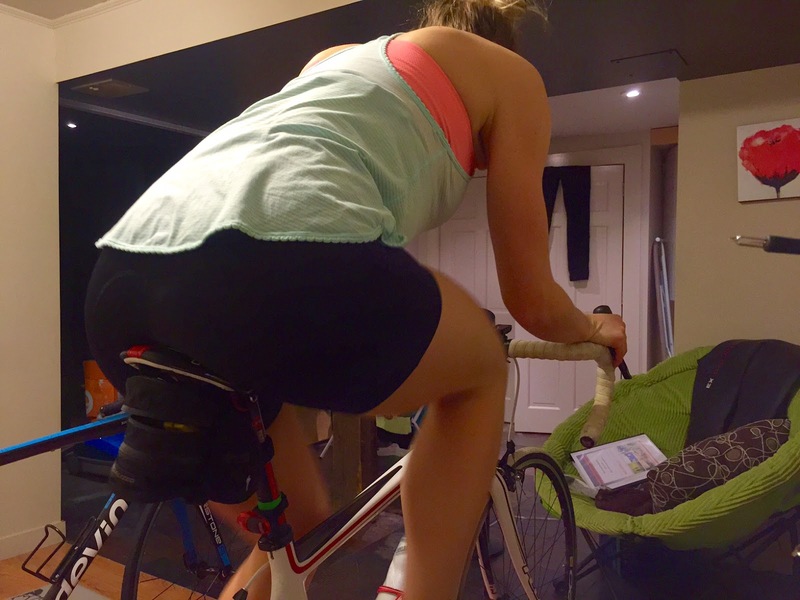 Wednesday: Evening spin and strength session with my HPS crew. 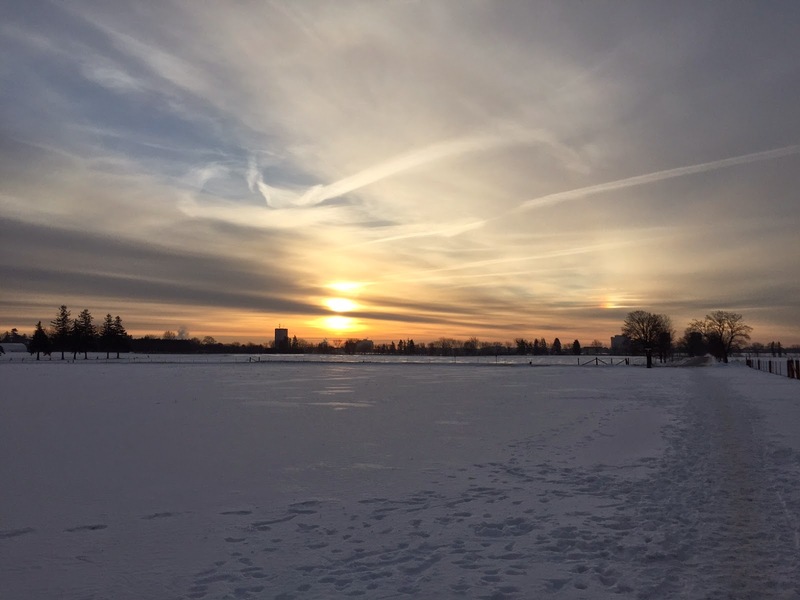 Thursday: An easy 60-minute run outside in the cold (11k), but rewarded by this lovely sunrise. Friday: Made it to Friday morning swim practice! Main set was 2x (9x125 - 3 easy, 1 all-out, 2 easy, 1 all-out, 1 easy, 1 all-out with lots of rest (2:40)). It didn't feel quite as good as Tuesday's swim, but still felt pretty strong. 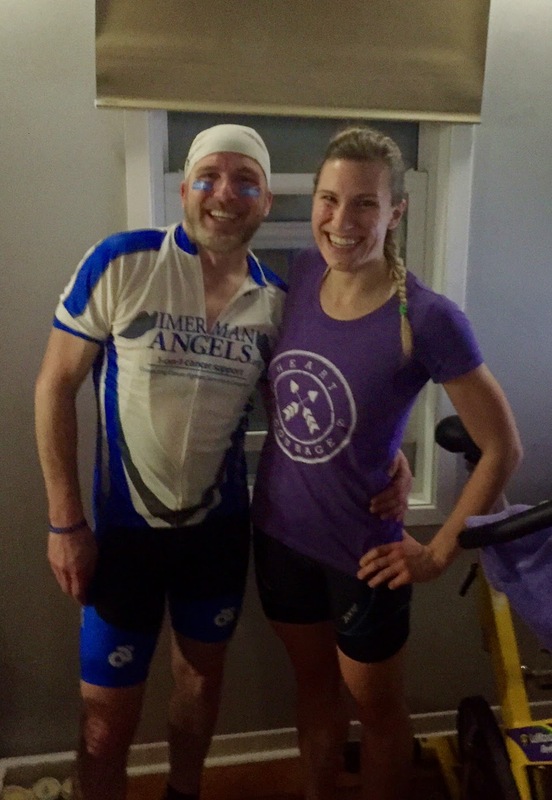 In the evening, I went to Brent's charity spin class in support of Imerman Angels! We had a great time, in support of a great cause! Saturday: 5k Time Trial at track practice. I managed to take another 30+ seconds off my 5k time from my last PR in December. New 5k PR is 20:20! It was exciting to see another improvement, especially since I had been mostly running sloooow all month long. I went to a pretty tough yoga class in the afternoon, focused on glutes and hamstrings.... which didn't feel awesome after my morning TT. Oops!